GTA is filled with lawlessness and mischief. In a game like this, it only seems fair that you can cheat your way to victory. Why steal and kill when you hack your way to fortunes. These directions work for jailbroken and non-jailbroken devices. Grand Theft Auto San Andreas has been released for all Apple devices including the iPad, iPhone, and iPod Touch. By following these directions for you will have unlimited money. After completing the tutorial, you will have $ 99999999+ to spend. The first mission will be done and you can continue from that point with a very rich Carl Johnson. 1. Download and install iFunbox (free) if you do not have it yet. 2. Once iFunbox is installed, launch it, connect your device to the computer and the tool will recognize your device automatically. 3. 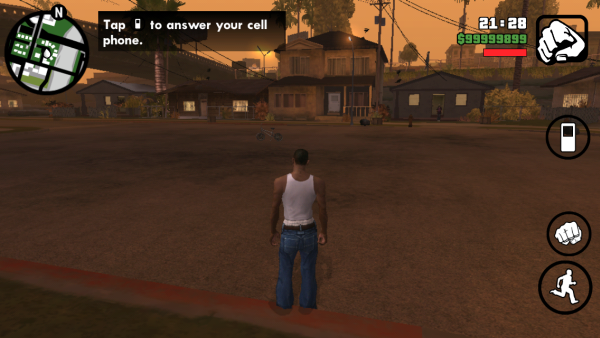 Switch to iFunbox Classic tab, navigate to your device -> User Applications -> GTA: SA -> Documents. 4. To back up your save game, select all the files in the Documents folder, right-click and choose Copy To PC. Put all your files in a safe place so that you can restore it later if something goes wrong. You may notice that you do not have all files in the picture below, but that is fine, just back up what you have in the folder. 5. Next, download the following GTA Sand Andreas save file and extract it to your hard drive. 6. Switch back to the iFunbox window, make sure that you are viewing the Documents folder inside GTA: SA, right-click on an empty space and choose Copy From PC. In the Explorer window, select all the extracted files and click Open. The imported files will override your previous files. This step can also be used to restore your old save game if you want to. 7. Launch the game, play it and you should notice that the money amount is 99999999. You can, of course, earn more money through missions without any troubles. 8. If you have trouble with the save file, start the game from scratch, finish the first mission, go to JC’s house and save your process to a slot. After that, you will be able to override the save file.